BA/LLB, MAppAnth&ParDev (ANU), MScIntlDev (Distinct) (RMIT), MPub&IntLaw (Hons) (Melb); Barrister & Solicitor ACT & NT. Practicing Certificate, WA. Judy Harrison has been a practicing lawyer for over 30 years. 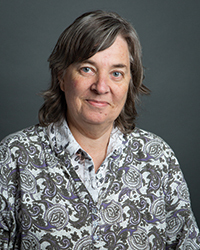 Judy researches in the areas of law and organising, critical lawyering theory and minority justice issues. Applying immersive, collaborative and reflexive research methodologies, Judy’s research has helped develop regional, national and international networks and linkages especially in the areas of legal and collaborative responses to domestic and family violence, family law and the safety of women and children and women’s legal equality. Judy’s research has helped instigate law reform, new national programs, new national and international service standards, new services and coalitions of influence. Currently focusing on remote lawyering, criminal lawyering and historical injustice, Judy is working with local people and community groups and with networks which encompass Indigenous studies, genocide, human rights, reparations, and political and social change. Judy appears on her own behalf and with clients in state and national television programs and she regularly briefs parliamentarians and the media. Through regional, national and international - government and non-government consultancies, Judy’s research has helped strengthen legal services for Indigenous peoples, criminal and civil justice responses to domestic family violence and community based safety options for Indigenous women. 2016 Finalist WA Attorney General's Community Service Law Awards (individual) for outstanding pro bono legal services to the WA community. 1994 Northern Territory Women's Fellowship awarded jointly with Sally Gearin to research criminal and civil justice responses to domestic and family violence in the USA. Judy is the co-author, with Steve Kinnane and Isabelle Reinecke, of ‘Finger Money: The black and the white of stolen wages’, in Griffith Review, Vol. 47, Looking West, Feb 2015. Judy and KCLS colleagues provided material for Sarah Dingle's report WA's Stolen Wages Shame, on ABC Radio National's Background Briefing, broadcast 6 September 2015. This report highlighted a gap of over $70mill between acturial modeling and the WA Goverment's Stolen Wages Reparation Scheme. In October 2016 Sarah received a United Nations Media Peace Prize for her report. Judy was the principal consultant with Maria Dimopoulos for Fiji Law Reform Commission's reference on Domestic Violence Laws. The final report included Executive Summary and Recommendations, Context, Criminal Justice Response, Civil Justice Response, and 5 draft bills). For background: FLRC Newsletter February 2005 the press release delivering the reports, and the resulting Domestic Violence Decree 2009 as recently amended by Revised Edition of the Laws (Consequential Amendments) Act 2016. Judy's work in relation to the development of supervised children's contact (visitation) services in Australia inluded preparing the first versions of the Australian and New Zealand Standards for Supervised Access Services. These Standards were influential in the development of similar standards in the USA and Canada, legislation in California and standards in the UK. The Australian Law Reform Commission recommended that the standards be linked to funding critera for quality control, and the Australian goverment acted on this in relation to federal funding, currently about $15mill pa.
February marks the 20th anniversary of the Canberra Legal Aid Clinic, an opportunity for law students to work at the “coalface” of the legal profession while completing their Graduate Diploma Legal Practice at ANU Legal Workshop. A decades old injustice against Aboriginal station workers in Western Australia has been taken up ANU lawyer Judy Harrison. Judy Harrison researches in the areas of law and organising, critical lawyering theory and minority justice issues. Applying immersive, collaborative and reflexive research methodologies, Judy’s research has helped develop regional, national and international networks and linkages especially in the areas of legal and collaborative responses to domestic and family violence, family law and the safety of women and children and women’s legal equality. Judy’s research has helped instigate law reform, new national programs, new national and international service standards, new services and coalitions of influence. Currently focusing on remote lawyering, liminal lawyering and historical injustice, Judy is working with local people and community groups and with networks which encompass Indigenous studies, genocide, human rights, reparations, and political and social change. Judy appears on her own behalf and with clients in state and national television programs and she regularly briefs parliamentarians and the media. Through regional, national and international - government and non-government consultancies, Judy’s research has helped strengthen legal services for Indigenous peoples, criminal and civil justice responses to domestic family violence and community based safety options for Indigenous women. Pindan, peripheries and power: First Nations peoples, civil law and justice in the Kimberley, Launch of the KCLS-ANU Initiative, ANU College of Law, Canberra, 9 July 2017. Facilitator. Situational awareness: connections between client stories, client standpoints and law reform, Kimberley Community Legal Services Training Days, KCLS Kununurra 21-23 June 2017 (by skype). Becoming a Practiioner LEGW8141, as a teacher and convenor. promoting engagement with contextual and political dimensions of lawyering. Since 2012 Judy has worked with law student volunteers and law graduates undertaking practical legal training with particular emphasis on historical injustice, Indigenous rights, law and organising, and approaches to lawyering. From 1996-2010 the Legal Aid Clinical Program, which Judy co-convened, enabled ANU law students to help provide legal assistance under supervision to clients at ACT Legal Aid. Between 2004-10, while Judy was the Director of Clinical Law Programs, the number of ANU law students and law graduates who undertook clinical legal experience rose dramatically, with students directly assisting several hundered clients a year under supervision, with exposure across the clinical programs to over 1000 clients a year. Between 2004-10 ANU law students undertaking the Clinical Youth Law Program, which Judy convened, produced about 120 practical research projects relating to youth legal issues in the ACT. In 2009-10 about 20 ANU law graduates undertook 20-80 day legal practice experience in regional, rural and remote (RRR) Community Legal Centres around Australia. Judy managed this project, connected to the recruitment and retention of lawyers in RRR Australia for the ANU Legal Workshop in partnership with the National Association of Community Legal Centres. By participating and collaborating in relation to services, justice issues, law reform, national programs, and national and international service standards. UNDP Vietnam, 2010-11, with Maria Dimopoulos: Developing Monitoring and Evaluation Framework for Domestic Violence Laws in Vietnam. Service strengthening with Family Violence Prevention Legal Services (FVPLS) for ATSIC including participatory development of the first national Policy Framework for FVPLS with Cat Gander. Participatory development of the Australian Consumer Justice Charter for the Australian Federation of Consumer Organisations (1994) and AFCO, submissions to the Access to Justice Advisory Committee (1994) and the Australian Law Reform Commission Inquiry on Litigation Costs Rules (1995) .